Our team has many years of experience in domestic and commercial areas. 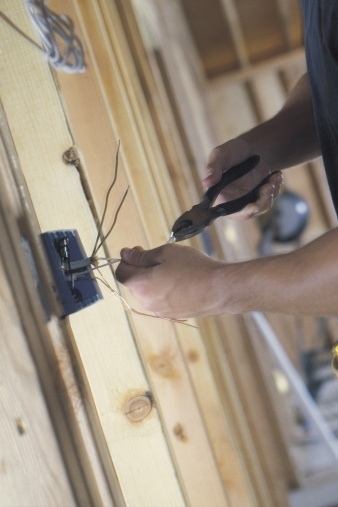 For the house holder we can replace light switches, move power points, rewire, and test. We aim to give you peace of mind. Our experience in the commercial world allows us to offer a range of services. If you have a need or a project in mind, please call or email us. I am about to buy a house, how can you help? For a small fee we can do a pre purchase inspection of the wiring of the house. This will give you an idea of any work that needs doing, stops you getting a shock (no pun intended) after you buy the house and means you can use this information when negotiating the price of the house. Do you wire up spas? We can help you with all types of outside wiring. From pools to spas to providing your garden with light at night. Can you help me with my fountain pump? If is electrical we can help you! We often get contacted by people who have spoken to other electricians only to be told that they need to do a costly replacement. We will not sell you anything you do not need, and are happy to come and give you an honest and obligation free quotation.